Two Hino 1627 Crew Cab derivatives are available - one with a 6-speed manual gearbox and the other with a 6-speed Allision automatic transmission. 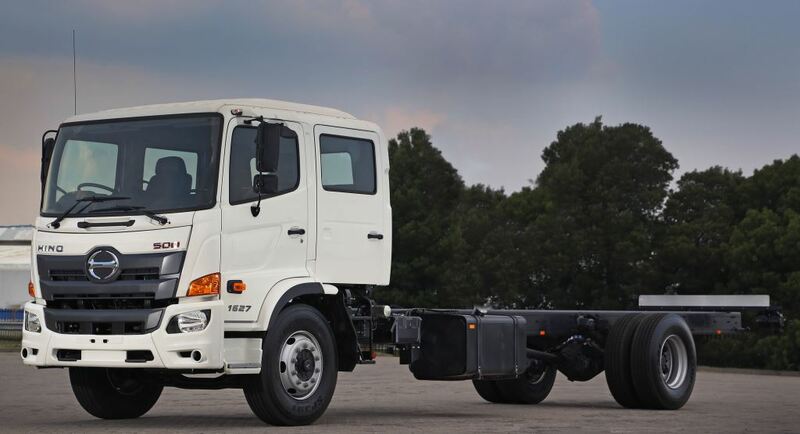 The Hino 500 Wide Cab range of heavy commercial trucks has been increased to 14 with the addition of two 1627 Crew Cab derivatives, one with a 6-speed manual gearbox and the other with a 6-speed Allision automatic transmission. 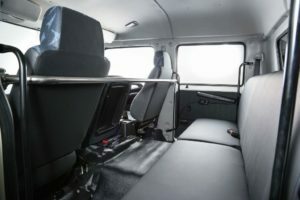 The Crew Cab provides seating for seven people, including the driver. “The Hino 500 Wide Cab range, which was introduced to South Africa at the end of 2017, has been well accepted in the market and now we can fill requirements in another niche segment with the arrival of the Crew Cab models,” says Ernie Trautmann, Vice President of Hino SA. The Crew Cab of the new models provide seating for seven people, including the driver. The Crew Cabs are well specified, with standard equipment including air conditioning, electric windows, audio system, cruise control and hill start-assist on the manual model. According to Hino South Africa, the Hino 1627 Crew Cab outperforms its direct competitor with a more powerful engine, fully automatic transmission, higher GVM of 16 000kg, full air braking system, much bigger fuel tank, tighter turning circle and far better gradeability.